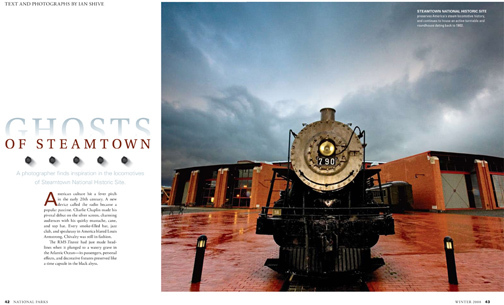 Ian Shive’s December 19, 2007, story The Ghosts of Steamtown for National Parks Magazine won Gold for “Best Use of Photography, Association/Non-Profit” at the 2008 Folio Awards Eddie & Ozzies. The winners were announced on September 22nd in Chicago. Shive is proud to continue his work with non-profit groups such as the National Parks Conservation Association. His next article for the magazine focuses on underwater resources in the national parks and appears in the Fall 2008 issue. Last week in San Francisco, Ian Shive’s photography was featured in the opening reception of a new state-of-the-art conference room at the Public Policy Institute of California (PPIC) offices. 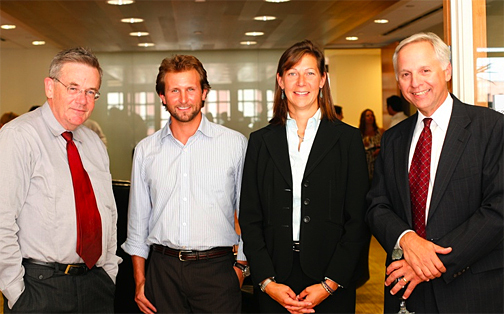 Walter Hewlett, of Hewlett-Packard and a member of the board at PPIC, was there to commemorate the event as were Wendy Miller of The Nature Conservancy and Mark Baldassare, President of PPIC.